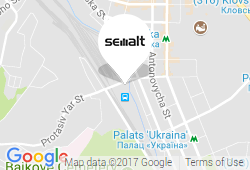 Semalt offers complex services for statistical analysis and search engine optimization of your website. Our service is adjusted for both large corporations and small business. We focus on individual requirements of our clients, so we can offer several tariff rates. On the Semalt Pricing page you can pick the required options and prepare your individual package. Our managers are ready to help you and answer any questions you have. Semalt rates allow to choose individual packages with services that would be the most effective for your website.